Strictly speaking, hepatitis is a chronic liver inflammation. Canine hepatitis is however commonly used term to describe different liver conditions in our dogs. The symptoms of liver failure in dogs can easily be missed as they tend to be subtle in the early stages and then similar to symptoms of many other diseases. This is why it is always wise to seek professional advice if your dog is showing any sudden or prevailing abnormal symptoms or behaviour. As they say, it is better safe than sorry. Is also known as chronic inflammatory hepatic disease. Chronic active hepatitis is a long-term on-going inflammation of the liver, i.e. when the condition has lasted for more than six weeks. This is what canine hepatitis really means, a chronic liver inflammation. Many diseases can result in chronic active hepatitis in dogs. The cause can also be virus or a toxin causing liver damage. Some dog breeds also seem more susceptible to get chronic inflammatory hepatic disease. Blood tests are likely to reveal high liver enzymes in dogs and total bilirubin, and even elevated white blood cell count. Treatment includes intravenous (IV) fluids, antibiotics to prevent / treat secondary infections and steroids to halt / prevent inflammation. After getting chronic inflammatory hepatic disease, the dog usually has to be on steroid treatment for the rest of his life. This is why dogs with chronic active hepatitis tend to remain as well on liver protective supplement, like maxxiSAMe, i.e. to support the liver. Canine liver failure is a serious condition. Acute hepatic failure is a condition characterized by sudden loss of 70% or more of the liver's function due to sudden, massive tissue death in the liver. Necrosis (tissue death) sets in, causing loss of liver enzymes and impaired liver function, ultimately leading to complete liver failure. Vaccinating dogs against canine infectious hepatitis (acute liver infection) and avoiding drugs that contain potentially harmful hepatotoxins is recommended to prevent acute hepatic failure in dogs. Acute liver failure is fatal to dogs and can cause death within 24 hours if left untreated. In most cases, hospitalization is required, i.e. for IV fluids, electrolytes, and oxygen, as well as colloid replacements. Activities will have to be restricted to allow time for the liver to regenerate. Vitamins (E and K), antioxidants, and liver supplement for dogs (like maxxiSAMe) are also highly beneficial to help dogs recover from acute canine liver failure. As pets grow older, they can face many of the same age-related health conditions as humans. Our unique stabilized SAM-e powder boosts liver and cognitive functions while easing joint discomfort and improves mood at the same time. While maxxiSAMe is hard at work within your beloved pet’s liver and brain, expect marked improvements in attitude, energy, and the behavior of your dog. Or infectious canine hepatitis is caused by a virus called canine adenovirus type 1 (CAV-1). It is a contagious disease that is transmitted by direct contact with infected urine, saliva and faeces. Canine infectious hepatitis can be found everywhere in the world but it is uncommon in areas where dogs are routinely vaccinated. This means that young and unvaccinated dogs are at most risk of getting it. Infectious canine hepatitis affects the liver, kidneys, eyes and lungs and can develop quickly and become serious, even fatal. As with most canine liver diseases, the symptoms can be difficult to spot but they can include fever, loss of appetite, lethargy, vomiting, and other common symptoms of canine hepatitis. In addition, the symptoms can include runny eyes and nose, coughing, bleeding under the skin, bruising, swelling, seizures and bluish clouding of the cornea. There is no treatment as such for canine infectious hepatitis, i.e. the treatment is about managing the symptoms until the virus has run its course. Intravenous fluid therapy may be required and antibiotics are often given to ward off secondary bacterial infections. In the more severe cases, blood transfusion may be needed. The best way to prevent your dog from getting canine infectious hepatitis is to vaccinate him for it. Is also called canine copper hepatotoxicosis or copper related hepatitis. As the name indicates, it is caused by an excessive accumulation of copper in the liver. Canine copper storage disease is a serious condition (like any canine liver disease) and can be fatal if left untreated. This excessive accumulation of copper is thought to be caused by abnormal binding of copper to certain proteins in the liver or abnormal secretion of copper in the bile. Copper related hepatitis is for more common in female dogs, as well as in certain dog breeds. Breeds most at risk of getting copper storage disease are some Terrier breeds (Skye, Bedlington and West Highland White), Doberman pinchers, and Labrador retrievers. The symptoms are similar to many other canine liver disease and include vomiting, diarrhoea, weight loss, lethargy, as well as bleeding (gums or nostrils), jaundice, and dark urine (bilirubinuria). Additional symptoms that are less obvious include anemia (low blood cell account) and hemoglobin in the urine (hemoglobinuria). Treatment for canine copper storage disease concentrates on eliminating the copper from the body. Medication like penicillamine increases the urinary excretion of copper, while Zinc acetate prevents its absorption. The dog will also be put on a special low copper diet. Hepatic lipidosis is also known as fatty liver disease. Hepatic lipidosis is much more common in cats, but dogs can also get it. Small dogs (toy dog breeds) are more likely to get canine fatty liver disease than larger breeds. Canine hepatic lipidosis occurs when triglycerides (the main form of fat in the body) accumulates in liver cells (hepatocytes). The excessive fat in the liver increases the liver size and causes abnormal bile flow that interferes with the liver function. This affects the liver capacity to filter toxins from the bloodstream. Somewhat surprisingly, canine hepatic lipidosis can be either physiological or pathological, though in most cases the exact cause may remain unknown. Physical causes of hepatic lipidosis include heartworms, and medical conditions like diabetes, kidney disease, hyperthyroidism, inflammatory bowel disease (IBD), pancreatitis, cancer and obesity. Some medications (cortisone, antibiotics) and poisons can also cause canine fatty liver disease. What most people do not realize is that stress can also cause canine hepatic lipidosis, e.g. when leaving the dog with unfamiliar people or introducing new pet to the household. Sudden dietary changes or refusing to eat (anorexia / starvation) can also cause fatty liver disease in dogs. Canine hepatic lipidosis may sound serious and it can be if left untreated. Fatty liver disease is however reversible in most cases when treated. It is therefore important to see your Vet immediately if you suspect your dog may have fatty liver disease. Prognosis are good if it is treated aggressively, i.e. with intravenous (IV) fluids to hydrate the patient and with liver supplement for dogs (like maxxiSAMe). Also known as portosystemic shunt (PSS), is when the normal flow of blood to and through the liver is significantly reduced or absent. There are two primary types of canine liver shunts, i.e. inside the liver (intra-hepatic) and outside the liver (extra-hepatic). Liver shunt in dogs is a birth defect (congenital condition). Canine fetus liver is underdeveloped and unable to function, i.e. the mother's liver carries the detoxification burden for her litter while in utero. Just before the puppy is born, the ductus venosus is supposed to close but if it doesn't seal itself off before birth, the puppy is born with an intra-hepatic shunt. Extra-hepatic liver shunt on the other hand is when the ductus venosus closes before birth but the shunt outside the liver remains open, i.e. the blood flow to the liver is re-routed by an abnormal blood vessel outside the organ. Larger dogs (e.g. Labrador Retrievers, Old English Sheepdogs, Australian Shepherds, Australian Cattle Dogs, Samoyeds) are more prone to intra-hepatic shunts. While smaller dogs (like Yorkshire Terriers, Maltese, Dachshunds, Jack Russell Terriers, Shih Tzu, Lhasa Apso, Cairn Terriers, Poodles) are more prone to get extra-hepatic liver shunt. The symptoms of canine liver shunt are similar to other symptoms of canine hepatitis diseases, like vomiting, diarrhea, lethargy, and stupor. Puppy's failure to thrive is often a sign of canine liver shunt. Canine portosystemic shunt is always a serious condition and surgery is usually required. Liver shunt surgery is a complicated surgery. The cost and results of surgically correcting liver shunts are variable and depend on the anatomical location of the shunt, the severity of shunting and the age of the dog. Extra-hepatic shunts can usually be successfully fixed with a surgery. Intra-hepatic shunts are more challenging surgically and tend to have more post-surgical complications. Minority of dogs can be treated with medical management. 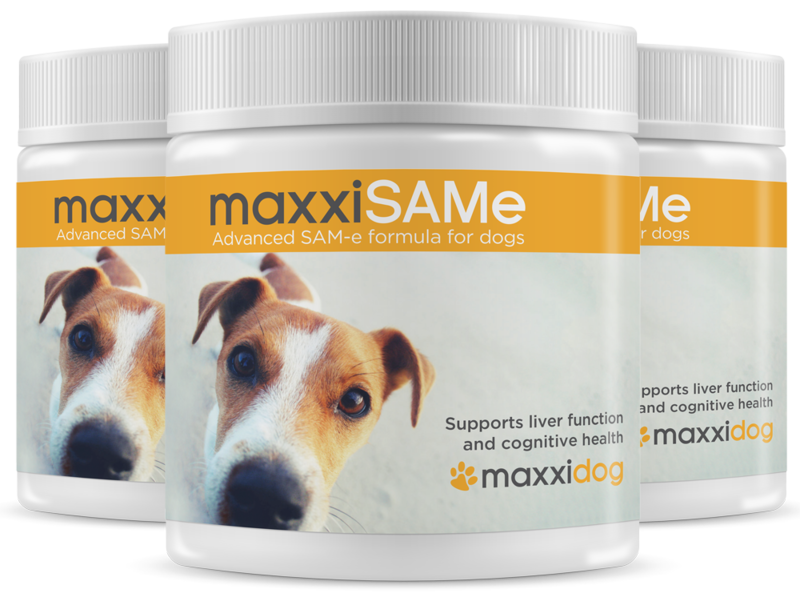 Liver supplement for dogs (like maxxiSAMe) and low protein diet are usually recommended as part of the treatment plan / aftercare for canine liver shut. Leptospirosis is a bacterial infection found in wild and domestic animals and spreads with urine from infected animals. Dogs usually come in contact with leptospira bacteria by swimming or drinking infected water or by passing through infected soil or mud. Or by coming into contact with urine from an infected animal, e.g. rats, raccoons, skunks, opossums, pigs and cattle. Leptospirosis primarily affects the kidneys and / or the liver. Most infections are mild but the most common signs of canine Leptospirosis are fever and depression. Antibiotics work well on Leptospirosis but supportive treatment includes IV fluids for dehydration and controlling stomach upset and nutrition support. The Leptospira spirochete bacteria is zoonotic, i.e. it can be transmitted to humans and other animals. Studies have shown that people are unlikely to be exposed if they take proper sanitary measures. There is a vaccination for Leptospirosis but it is considered “non-core” vaccine for dogs, i.e. generally not recommended unless there is a high change of the dog being exposed to the leptospira bacteria. The riskiest conditions for dogs include tropical, subtropical & wet environments, muddy areas with stagnant surface water frequented by wildlife and heavily irrigated pastures. Cirrhosis of the liver is the generalized formation of scar tissue. In humans, cirrhosis is typically the result of alcoholism or hepatitis, but in our dogs, it can be genetic or acquired (e.g. due to chronic liver injury, inflammatory bowel disease (IBD), infectious diseases, or toxic / drug liver damage). Fibrosis of the liver on the other hand involves the formation of scar tissue that replaces normal liver tissue. Again, this condition can be either inherited or acquired. Treating the underlying cause for the dog's cirrhosis and fibrosis of the liver can often stop the progression of the liver damage. Fluid therapy, electrolyte, dietary modifications, medication, supplements are all possible treatment options, depending on your pet specific condition. "The prognosis for your dog depends on two factors: how much of the liver’s function is impaired and the ability to treat and control the underlying cause. The most effective prevention of cirrhosis is to address liver disease as early as possible and maintain your pet’s preventive health care to avoid any situation that may cause liver disease" (Pet Health Network).